The Wine and Cheese Place: Robert Foley Cabernet Sauvignon Napa Valley - big score, big wine! 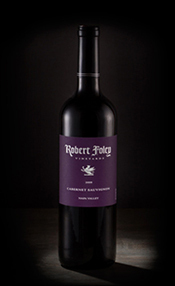 Robert Foley Cabernet Sauvignon Napa Valley - big score, big wine! The delicious, fruit-forward, dense purple-colored 2012 Cabernet Sauvignon exhibits plenty of roasted espresso notes intermixed with cassis, chocolate and toasty oak. Opulent, full-bodied and unctuously textured, it should continue to drink well for 10-12 years.